Tranmere suffered a disappointing away defeat to Boreham Wood on Saturday, as Bruno Andrade‘s second-half winner condemned Rovers to only their second domestic loss in 11 games. After the final whistle we asked you to vote for your man of the match out of Jay Harris, James Norwood, Ben Tollitt and Adam Buxton. We can now reveal that your man of the match is none other than Buxton! The 25-year old racked up 38% of the vote after putting in another solid performance at right-back. Tollitt was his closest contender, as the second-half substitute took 25%. Buxton was an important outlet for Tranmere on the day, with his creativity proving to be a handful for The Wood’s defence. His crossing and passing range has been highlighted in this 2017-18 campaign, and Rovers often looked at their most dangerous through the marauding right-back. However, a special mention must go to Tollitt for the impact that he made on the fixture. Micky Mellon introduced the winger in place of Josh Ginnelly after the restart, and his ability to take-on defenders helped the Super Whites dominate much of the second-half. 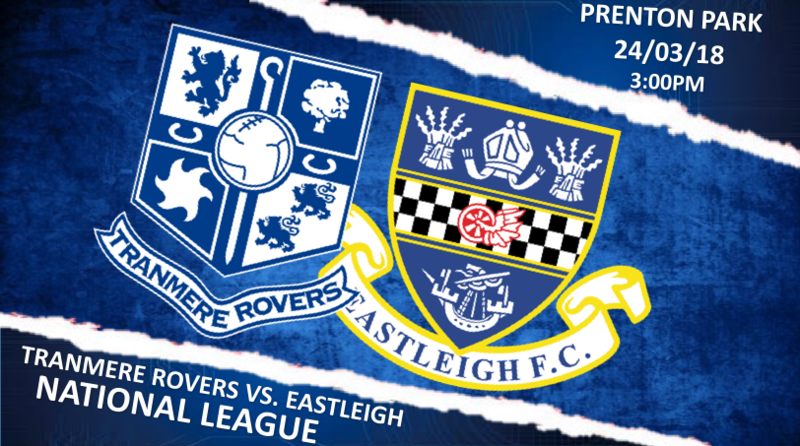 Rovers were unfortunate not to have at least taken a point back to Merseyside, but will be looking to bounce back quickly against Eastleigh next Saturday (March 24) at Prenton Park. Keep up to date with all of the latest Tranmere news through our Tranmere Talk Twitter, TRFC Radio and of course the club’s official pages. Can Tranmere Rovers Futsal avoid Relegation from the Super League?